Family time in the Scottish Borders this Easter, here is a selection of local events for all to enjoy. Step back in time to the days of Border Reivers and share in a full weekend of activities including concerts, street market, re-enactments, historical talks, 16th century banquet, torchlight procession and fireworks display. Hop on down to Abbotsford this Easter and join in with fun drop-in activities for all the family! Find the eggs hidden in the gardens, paint your own Easter egg to roll, take on the challenge of the egg and spoon race, take part in storytelling in our special tipi and meet our Easter bunny. With face painting and birds of prey display. Reopening Saturday 26 March with conducted tours and feeding of the donkeys every Saturday and Sunday at 2pm, takes about an hour. For the 39th year, Floors Castle in the Scottish Borders opens its doors to visitors from far and wide. Enjoy the Castle and gardens, and for the younger members of the family there is the Adventure Playground – with a flying fox, swings and monkey bars to name but a few, the children really will have a ball! The lawn is surrounded by benches so you can sit back, relax and watch the children tire themselves out. The adventure playground can be found in the Walled Gardens and refreshments and treats for both parents and children can be bought in the Terrace Café and enjoyed at the outdoor tables nearer the playground. Doors open at 10.30am and close at 5.00pm with last admissions one hour prior to closing. Have a cracking Easter at Bowhill with trails and activities for all the family. Nutty the Squirrel will be on hand – and don’t forget to enter our Eggs-Factor competition! Ranger activities for all the family focusing on the wildlife and conservation side of things at Bowhill. Activities include pond dipping, wildlife and bird surveying and constructing houses for birds, bats and hedgehogs. The Family Ranger Club is on every Sunday from 27 March to September. 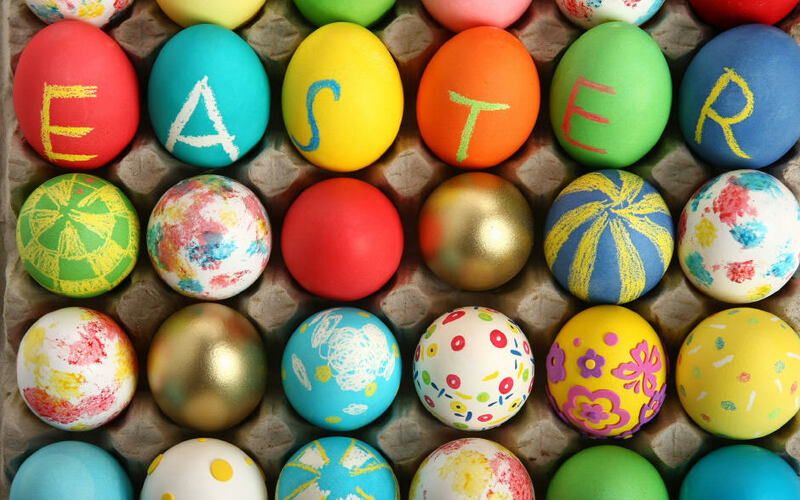 The Biggest egg hunt in the Borders and lots more fun activities all day. Scavenger Hunt with Big Egg Prizes!